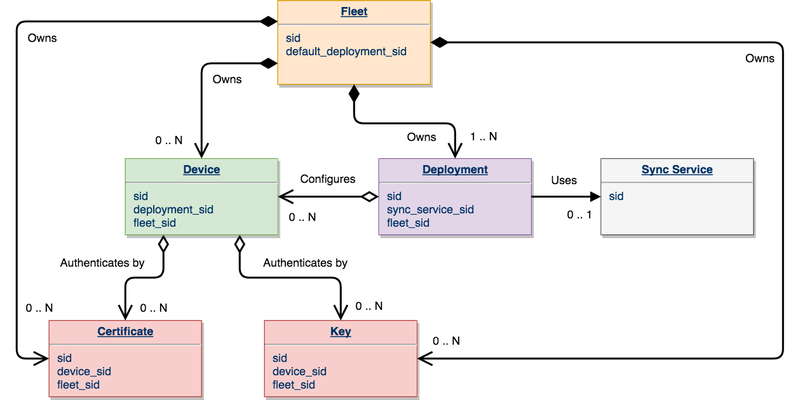 The IoT Device Manager organizes resources of your device registry according to the domain model that includes: Devices, Deployments, Fleets, Certificates and Keys. The illustration below sketches out an example IoT application that uses Twilio for Deployed Devices following the above model. 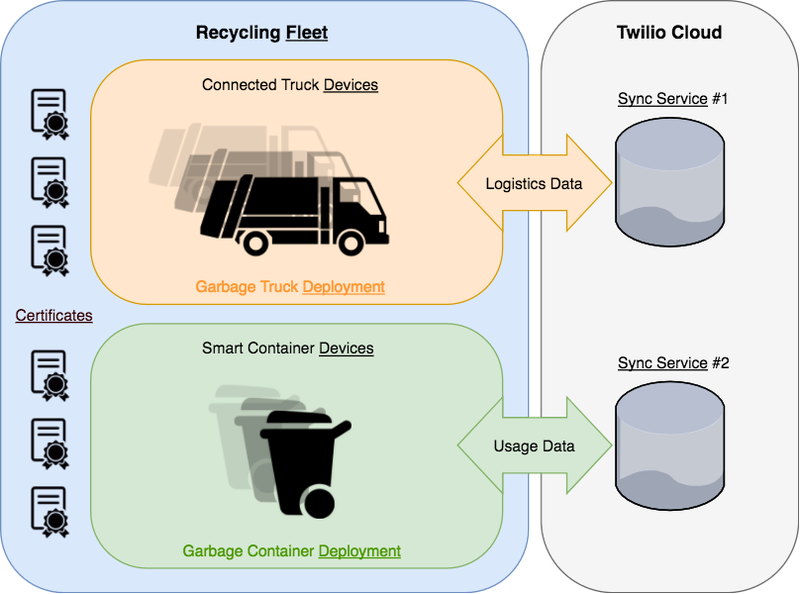 In our example application above, we are setting up a fleet of connected devices in order to run an optimized waste recycling process. Our devices are comprised of a set of garbage trucks equipped with GPS receivers, and a set of smart containers equipped with sonars, both characterized by specific data access patterns. Since the device datasets and instructions are different, we are configuring the devices to belong to two distinct deployments, each linked to their own Sync service instance. In order to authenticate, establish unique identity, and authorize access to data for depoyed devices, the fleet is instrumented with individual device certificates. The diagram below illustrates relationships between IoT Device Manager resources in a more formal manner.